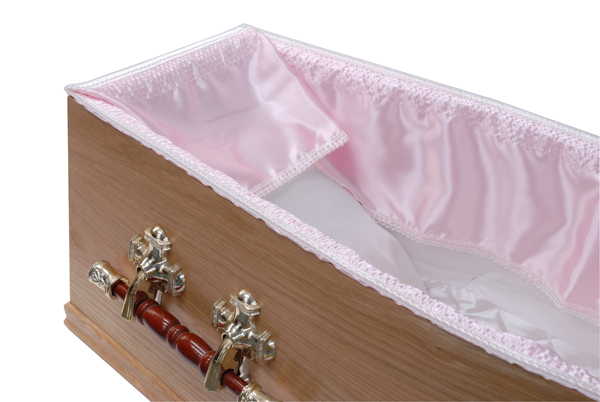 Satin coffin/casket frilling in 5 yard lengths to be attached to the lip of the coffin. Satin coffin/casket frilling in 30 yard lengths to be attached to the lip of the coffin. Satin coffin/casket frilling in 50 yard lengths to be attached to the lip of the coffin. Satin Drapery Set consisting of a 9" frill, curtain piece and a facecloth. 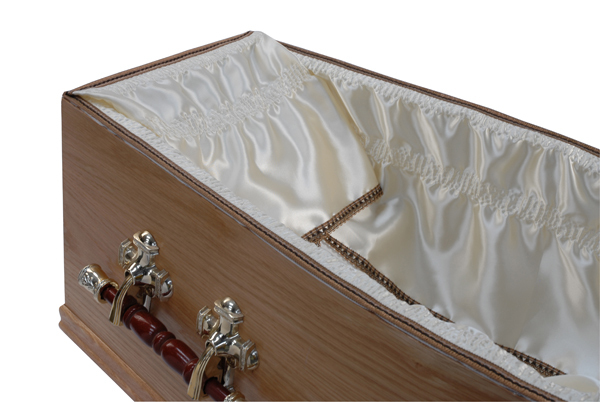 The main use for a drapery set is for dressing the coffin when the deceased is in their own clothes. White, Pink, Blue, Cream, Navy, Maroon, Oyster, Peach, Silver/Grey, Lilac and Bottle Green. Satin Drapery Set consisting of a 12" frill, curtain piece and a facecloth. 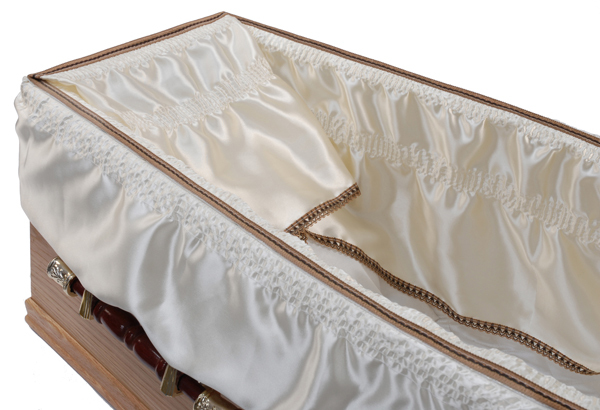 The main use for a drapery set is for dressing the coffin when the deceased is in their own clothes. Satin coffin/casket trent frilling in 5 yard lengths to be attached to the lip of the coffin. 9 inches in width inside the coffin and a trent frill which hangs on the outside. Also available in 30 yard lengths. Satin coffin/casket trent frilling in 30 yard lengths to be attached to the lip of the coffin. 9 inches in width inside the coffin and a trent frill which hangs on the outside. Also available in 5 yard lengths. Satin coffin/casket trent frilling in 5 yard lengths to be attached to the lip of the coffin. 12 inches in width inside the coffin and a trent frill which hangs on the outside. Satin coffin/casket trent frilling in 30 yard lengths to be attached to the lip of the coffin. 12 inches in width inside the coffin and a trent frill which hangs on the outside. High quality satin 12" double ruched frilling with folded puff ruffle attached. 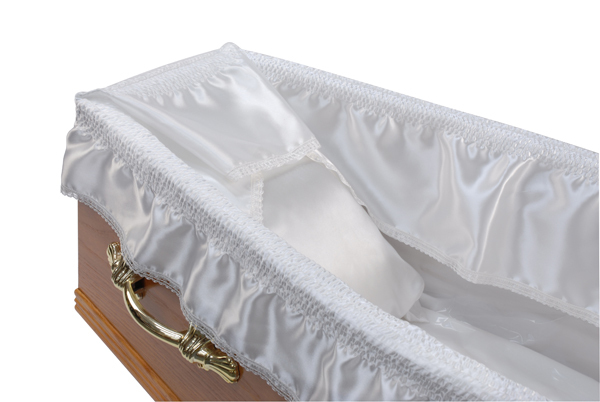 Luxury satin folded puff ruffle for attaching on the outside/lip of the coffin/casket. Image is for illustration only. This product is the Puff Ruffle only - no frill included. 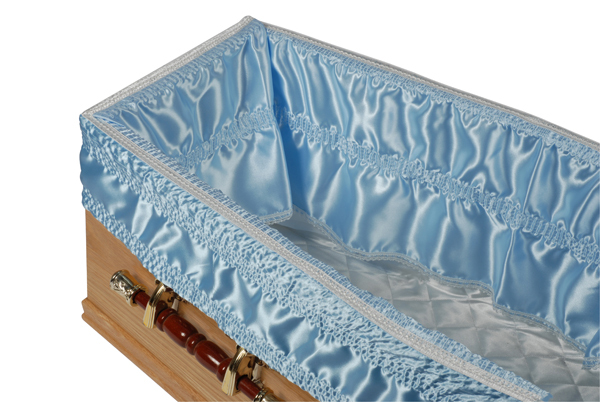 Satin padded puff ruffle for attaching on the outside/lip of the coffin/casket.